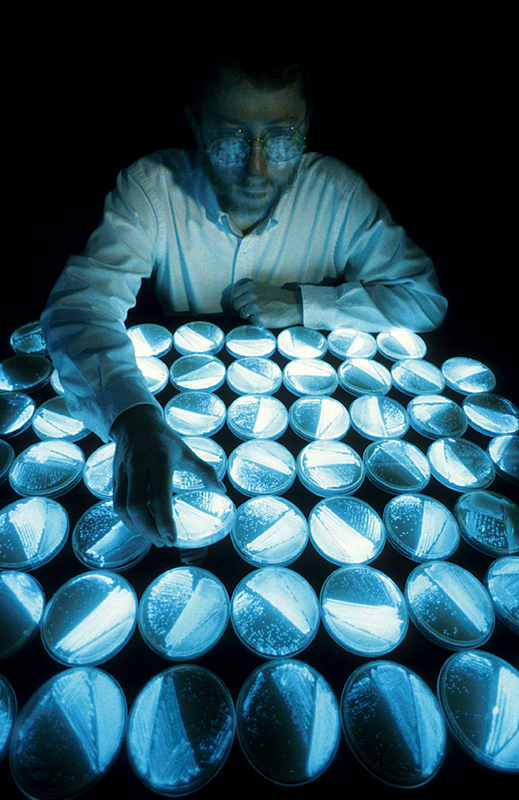 Bioluminiscence: Can bacteria glow like fireflies? The term bioluminescence refers to the generation and emission of light by living organisms. As a natural phenomenon, it was observed in various species, ranging from microorganisms, fungi, many deep-sea invertebrates and vertebrates, fireflies and others. Camouflage, attraction of prey or sexual partners and communication are just some of the adaptations for bioluminescence. The main component of this system is a small molecule luciferin which produces light after being oxidized by an enzyme called luciferase. Luciferases are proteins that catalyze the unfavorable reaction between luciferin and oxygen, thereby making such reactions possible. This knowledge of bioluminescence was successfully applied to many fields of modern molecular biology, where it became an important tool to study gene expression. The goal of this project is to study the properties of different luciferase proteins from various sources. Molecular biology techniques will be used to clone and produce different firefly proteins in Escherichia coli, and various biochemical and biophysical methods will be employed for protein purification and subsequent study of their properties in vitro (light emission, substrate and pH dependence, etc.). As a second part of the project, a firefly species native to Europe (common glow-worm, Lampyris noctiluca) will be used to clone the gene for luciferase, and its properties will be studied and compared with those of other luciferases. Practical tasks will be accompanied by basic theoretical instructions in molecular biology, protein science and the biochemistry of luminescent proteins. 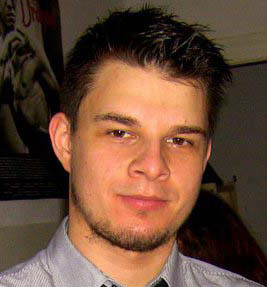 Damir studied molecular biology at the Faculty of Science in Zagreb, Croatia. Since 2008 he is a PhD student at the Max Delbrück Center for Molecular Medicine in Berlin, Germany. His research is focused on an unusual animal – African naked mole-rat – and its insensitivity to pain. Damir is also interested in neuroscience and evolution. He was a project co-leader at the S3 2008. When not doing science, Damir reads books, travels and enjoys (not so frequent) nice weather in Berlin. In the last few years, we are witnessing the spread of many dangerous viruses and disease. If there was a way to simulate and find out how they actually spread, this could help us fight them. And so we come to the study of complex networks - a young and active area of scientific research inspired largely by the empirical study of real-world networks such as computer networks and social networks (Facebook, Youtube, Twitter, etc). Complex network is a network (graph) with non-trivial topological features - features that do not occur in simple networks such as lattices but often occur in real graphs. 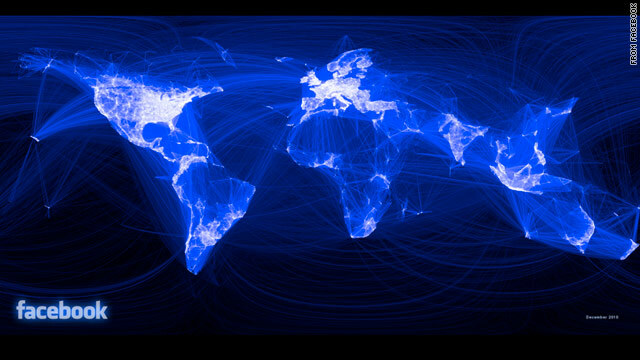 Complex network can be used to model the spread of an infection like swine flu or chickenpox. There are many epidemic models that describe the way of transmission of disease through individuals. Our focus will be on the so called SIR, SEIR and SIS epidemic model. In the practical part, the students will have to implement one of the epidemic models. They will get a network (graph where vertices represent individuals and edges represent acquaintances) and will have to simulate a selected way of transmission of a virus. We will compare simulations results for infection spread with selected models. Students will learn about complex networks, epidemic models, graph theory and infections. Beside that, students will learn basic of a programming language which will be used for modeling their tasks. Alen holds a B.Sc. in Computer Science from the Faculty of Electrical Engineering and Computing at the University of Zagreb and is currently working on his Masters degree. His research interests lie in the fields of computational biology, algorithms, machine learning and mathematics. His hobby is preparing high school students for math competitions. Alen also likes watching and playing football as well as other sports. Signal processing is an area of electrical engineering and applied mathematics that deals with operations and analysis of signals, such as sensor data, sounds, biological data, images, and other. It is often used in various interesting applications, which include speech recognition, weather forecasting, face and fingerprint recognition, object tracking, medical imaging and many more. Forensic analysis, for instance, is a field that can take advantage of several of these applications. Sounds can be filtered, images can be enhanced, and crooks can be caught. Students will receive two sets of data obtained from a crime scene: audio and visual. These data present key evidence in the conducted investigation, and could be the only available means of identifying and catching the perpetrators. Audio recordings are full of surrounding noise and must be filtered so that we can understand what the suspects are saying and identify the speakers. The visual part of the evidence is unfortunately very blurry and unclear. These images need to be enhanced and analysed as much as possible, so that all the available information can be extracted from them (suspects height, clothes, hair color or even the whole face). To achieve this goal, Fourier transform and analysis will be explained as an important signal processing tool. Students will learn to understand the meaning of terms like filtering, mel-frequency cepstrum, correlation, image segmentation and edge detection, and use them in processing of one-dimensional data (sound), as well as two dimensional (image). Some machine learning techniques will also be explained and used for purposes like speaker recognition from a voice recording. 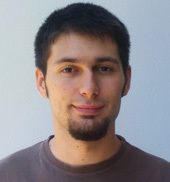 Ivan is a Ph.D. student working in the Center for informatics and computing at Ruđer Bošković Institute in Zagreb. His work and interests are related to scientific visualization, digital and analogue signal processing and design of digital systems, with application in bioinformatics, chemoinformatics and biomedicine. He also likes music, swimming and having lots of fun. Decoding of the DNA sequences of living organisms shifted into focus of many biologists ever since the completion of Human Genome Project. The DNA sequence is a reflection of complex biological processes, such as gene regulation, development, and evolution, but understanding how exactly DNA shapes and is shaped by these processes is a challenging task. The rapidly advancing genome sequencing technologies have now been very successfully adapted to the task of measuring gene expression in different tissues at specific times. 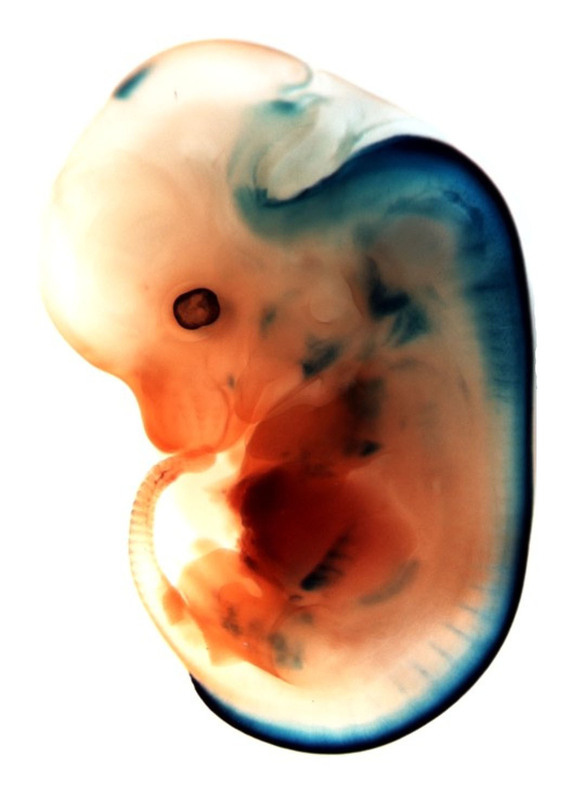 Using the mouse embryo as a model organism and next-generation sequencing data obtained from the embryos, this computational project will deal with regulatory elements called 'enhancers', which increase the expression of their target genes. We will learn how to determine which enhancers are active (bound by a protein called "p300") and which are inactive in different embryo tissues processed by the "ChIP-seq" technique. In the beginning, participants are going to learn about the basic biology of genes and genomes, about regulation and how next-generation sequencing methods work. Then, we will use the programming language "R" to find the binding sites of the enchancer-associated p300 protein, indicating active enhancers in different tissues. We will double-check the results by seeing if the genes targeted by these enhancers indeed have elevated expression in the same tissue. Finally, each participant will take the list of enhancer-targeted genes in their data, summarize it using the Gene Ontology, and try to guess which tissue each sample was taken from. Tibor is a B.Sc. student of bioinformatics and computational biology at Jacobs University Bremen. He will start the Ph.D. studies at EMBL Heidelberg in fall 2011. Some of his research interests include genomic regulation, long-range chromatin interactions and epigenetics. 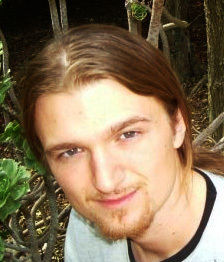 Tibor participated twice at the Summer School of Science: in 2007. as a student, and in 2009 as a Swapshop leader on computer science. He enjoys watching movies, traveling and playing sports. Fran is currently a working as a postdoctoral research scientist at the Centre for Genomic Regulation in Barcelona. His research interests include applying new machine learning techniques to various biological problems, such as genomics, protein sequence analysis and anticancer drug design. Fran was a project leader on S3++ 2007 and 2010, and one of the organisers of S3++ 2009. Biology of aging: Is fission yeast immortal? Ageing and eventual death has fascinated humans since ancient times, yet a central question remains unanswered: Is ageing inherent to all living organisms? In unicellular organisms, replicative aging is defined as decreased replicative potential and increased mortality with increasing number of divisions. Ageing has been found both in asymmetrically and symmetrically dividing organisms, suggesting that no life form can escape aging. While recent works have identified a number of model organisms in which aging can be studied, an impediment to current research is the lack of a counter-example: a model organism in which aging, at least under certain conditions, is absent. 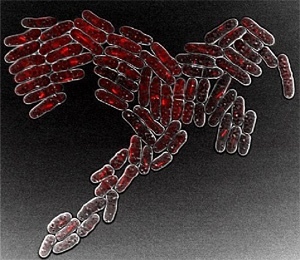 Fission yeast cells segregate damage randomly, suggesting that these cells undergo a different type of ageing. The students will address how damage segregation is related to cellular ageing in fission yeast, and how different genes interfere with this biological clock. We will interfere with 3 gene classes inside the cell: 1- The doctors (housekeeping genes and chaperones), 2- The builders (morphology and internal architecture) and 3- The sensors (stress sensing genes), monitoring how changes in these genes affect damage production, distribution and elimination. In this group, the students will use genetics tools to create new mutants and analyze their survival under different conditions. They will learn genetics, cell biology and biochemistry, and will have an introduction to state-of-the-art live cell microscopy, finally answering the question: Is fission yeast Immortal? Miguel is a portuguese PhD student at the Max Planck Institute (MPI-CBG) in Dresden, Germany. His research is focused on ageing and damage segregation in organisms as diverse as yeast, ciliates and clams. He attended the 2010 Woods Hole Molecular Biology of Ageing course. Beach volleyball, swimming, football and dancing are some of the things Miguel enjoys in his free time. Profession of scientists has always been a kind of mystery to the general population, and very often it was a good field for switching on the imagination. We have stories about dr. Frankenstein, dr. Jekyll and Mr. Hyde, Doc Brown, dr. Evil, etc. Today, thanks to the new technologies and media, like Internet and TV series, and to the popular scientific talks, general population has a chance to get introduced to a new image. Therefore, we can ask ourselves, is there a change from the “crazy and bad outsiders“ image to the image of “good and popular “ guys and girls. And what actually education, pseudo-science and new technologies have with the image of scientists? Astronomy is an example of a very popular scientific topic for general public, but it is also a great attractor of misconceptions and pseudo-scientific beliefs. 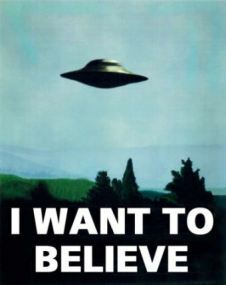 We are bombarded almost daily with news stories about space catastrophes, alien life forms, UFOs, etc. We will look at sources of these misconceptions and show how they can be turned into an attractive science learning resource. While the science is readily credited for the exploration of the natural world, there is still a belief how there are phenomena that are beyond the scope of science. Since many such phenomena can easily dumbfound even the most astute natural scientists, it is necessary to look for answers, not in our natural word, but in our minds. Scientifically oriented parapsychology does just that. This field of research asserts how all phenomena can be scientifically explored and all effects can be measured. Soon after we started applying scientific method to our paranormal beliefs, we began to discover why and how our magical ideas and beliefs are produced, enforced and so easily remembered. By learning about our cognitive structures, perceptive limitations and deceptive tactics used by various conmen, from faith healers to fortune tellers, it discovers real wonders of our believing mind. In this class we will learn how to bend spoons with “our mind”, predict future, recognize pseudoscientific manipulative tactics, and discover the psychology behind the „psi“. Even though it's exceptionally interesting, magnetism is not so much represented in everyday school physics due to its complexity. 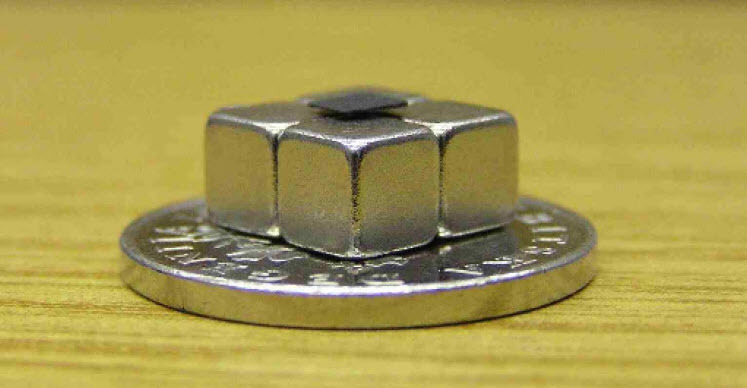 In this workshop, two experiments will be demonstrated: Levitation, a fascinating experiment showing diamagnetic levitation through levitation of a small graphite plate above four magnets arranged in such a manner that they form a magnetic quadrupole, and Magnet and water experiment which demonstrates diamagnetism of water. Following the demonstrations, students will perform 22 experiments themselves, answering the most important conceptual questions related to each experiment. It is commonly known that poligraph interrogations can’t be used as evidence in court. Why is that so? How does it work, anyway? In this workshop we will learn basic physiological parameters measured by polygraphs and how they change in response to psychological state during interrogation. Fingerprint recognition is the automated method of verifying a match between two human fingerprints. Fingerprints are one of many forms of biometrics used to identify individuals and verify their identity. The analysis of fingerprints for matching purposes generally requires the comparison of several features of the print pattern. In this workshop participants will have to manually extract Minutia-based features like: ridge ending, bifurcation or short ridge and create feature vectors or feature graphs. Afterwards, they will try to match a sample fingerprint against a small fingerprint database by using metric distance in high dimensional feature space and a graph matching approach. Dunja Samec (Rudjer Boskovic Institute, Croatia): Plant secondary metabolites-potent new drugs for tomorrow's medicine? Aubrey de Grey (London, UK): Can we avoid aging?